After watching Lisa’s Meal Planning video from her Motivational Monday series I really wanted to take some ideas from it to try improve our meal planning and budget we have for food. I want to keep all our food shopping receipts for the month so that we can see how much money was spent and how we can cut it down. I thought the big envelope from the February kit was the perfect size for all the bits of paper and not too big for keeping in my planner. 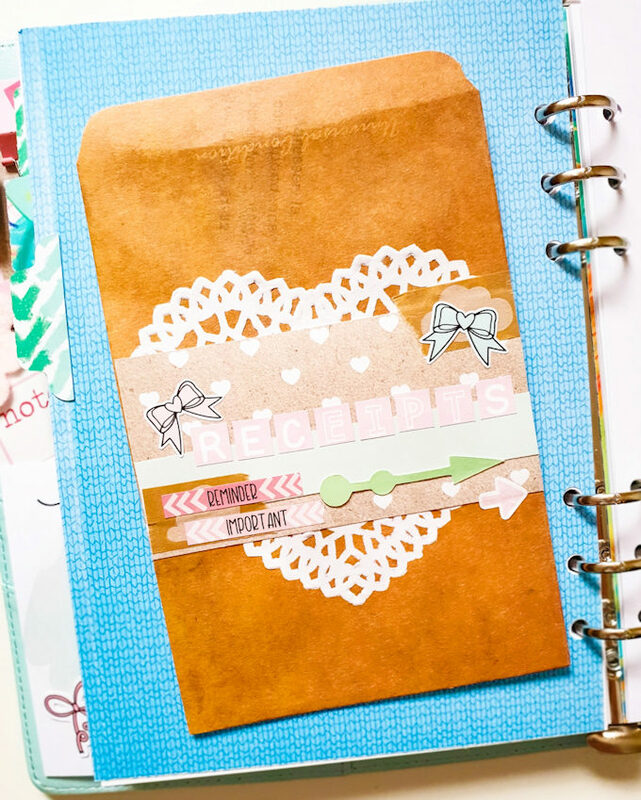 I decorated the front with the heart doily, a couple strips of the papers and a few stickers. I absolutely love the alpha stickers in this kit, they’re a great size and obviously match the rest of the kit. I’ve used them to write ‘Receipts’ along the envelope. 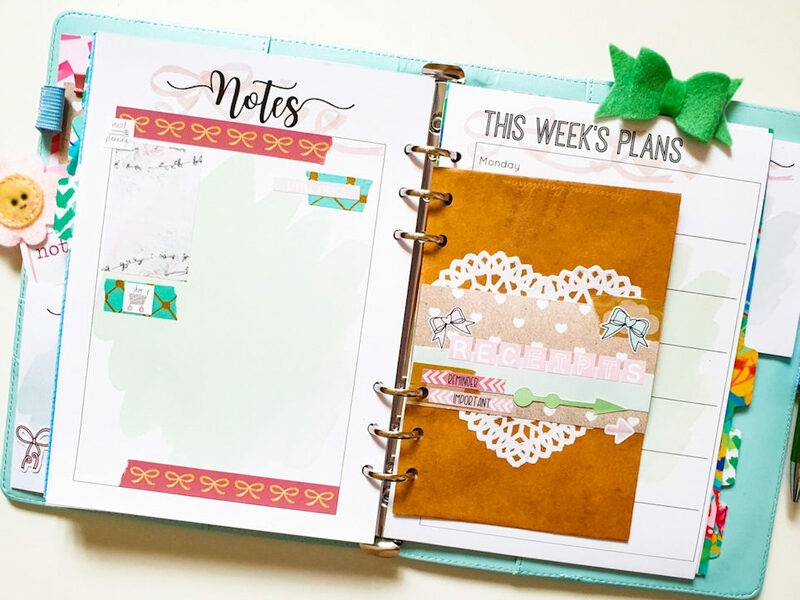 The notes page from the planner inserts is a good size for writing our weekly meal plan and keeping a shopping list I can keep adding to during the week. I hope this helps cut down our huge food bill! I’d love to know how you meal plan?